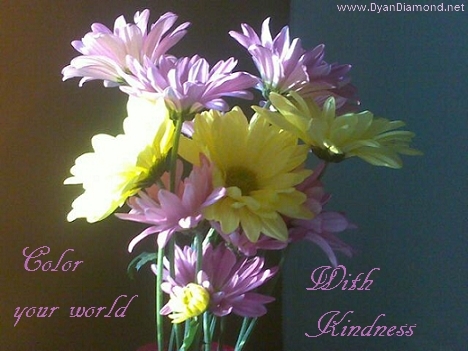 What is the kindest, nicest thing you can do for yourself today? What is the first thing that comes to mind? If you had a best friend who was just like you – what would you do for your friend? It can be as simple as turning on some of your favorite music, or making yourself a cup of your favorite tea. What does your spirit want to do? Be kind to yourself today. Only say nice things about yourself today. Be gentle with yourself. Then let your kindness spill out and color your whole world. Kindness is a beautiful filter to look through. Let it start with you.